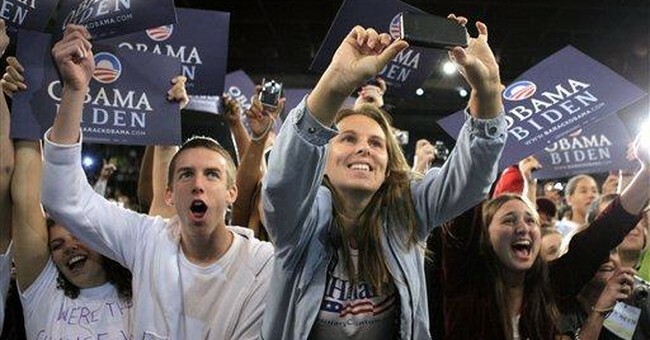 Are millennials ushering in a sea change of public opinion? Do they signal the transformation of the United States into a Scandinavian social democracy. Now, that doesn’t mean conservatives should just stop emphasizing the importance of free markets and economic liberty because the tide of history seems to be with us once young Americans become employed and start making money. The good news is that the notion of Millennials becoming less economically left leaning once they start making $40k and more remains steady. Additionally, younger Millennials (18-20 year olds) aren’t as liberal as their older peers. So, alas, maybe there is hope for Millennials the economic front; they just need to find jobs.